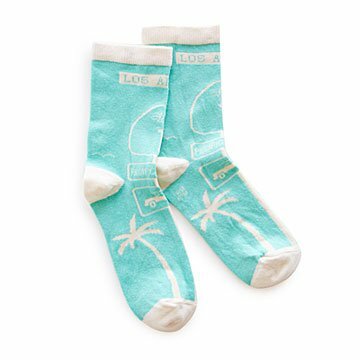 Ambling through Austin or running to catch the A train in New York—whichever city is under foot, show your city pride with a pair of these playful socks. Each one is woven with iconic landmarks like Washington's Capitol and Seattle's Space Needle or local flavor like a Chicago hot dog. The bold patterns and cheerful colors make them great accessories for any world-traveller woman. Cotton-poly blend. Made in Turkey.